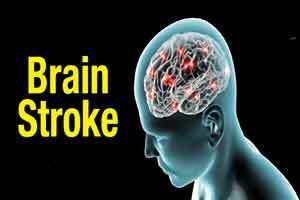 Gurugram : Neurosciences experts from around the world warned that patients with brain stroke are continuously rising in India and nearly one-fifth of patients with first-ever stroke admitted to hospitals are aged 40 years or less. Doctors participating at a three-day international meet to discuss the epidemic of stroke cases, also said that India had witnessed a extreme rise in smoking, systolic hypertension, high fasting blood glucose level, and lower high-density lipoprotein cholesterol in the population at a younger age predisposing to a stroke sooner. The first day saw discussions on Indian scenario, when experts said that most of the patients with stroke in the country are not accessing appropriate healthcare probably due to non-affordability, usage of alternative medicines, and difficulty in conveyance. “Stroke unit implementation remains a big challenge in India. At present in India, there are approximately 35 stroke units and they are predominantly in private sector hospitals in the cities. “Many of the private hospitals lack CT scan facility and they refer for incentives to other hospitals or centres. This results in crucial time being lost. On the other hand, public hospitals lack a dedicated team and place to manage stroke patients,” said Vipul Gupta, Director, Neurointervention, Agrim institute for Neurosciences at Artemis Hospital. Doctors also said that in certain parts of the country, women are five times more prone to stroke incidences than men. “More cases in women is attributable to the poor socioeconomic status and literacy rates. The average age of patients with stroke in developing countries (India) is 15 years younger than those in developed countries like US,” says Aditya Gupta, director, Neurology, at the Agrim institute.